It's very sweet...I love it! Who could love that little dragon face and the sweet flowers that adorn him! Oh is this ever cute! Thanks for playing in our mini challenge at Catch The Bug! Great card! Love the cute stamp you picked! 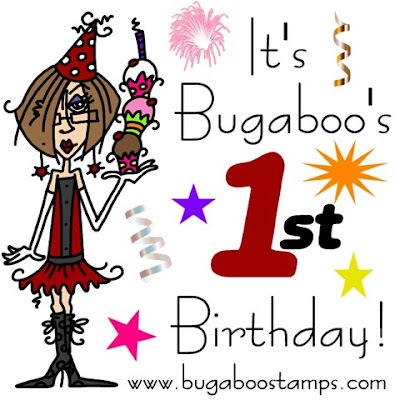 Thanks so much for joining us at Catch the Bug with Bugaboo Stamps! Hope to see you next challenge! cute card! love the purple and green together! thank you for joining this weeks Bugaboo birthday challenge at catch the bug!